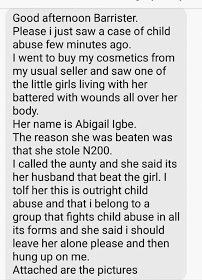 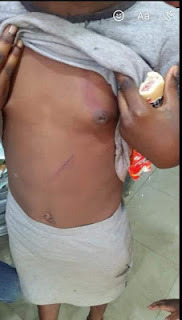 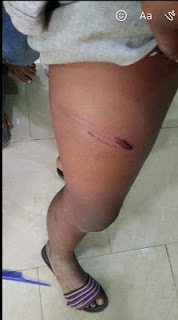 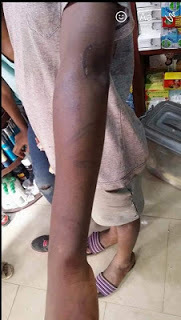 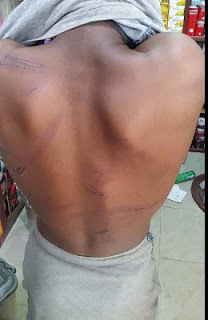 As indicated by an IG user, 12-year-old young lady distinguished as Abigail Igbe, was apparently beaten by her managers who blamed her for taking N200. 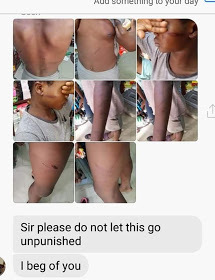 The body of the young lady is secured with new injuries and old wounds from beatings gotten from the couple. 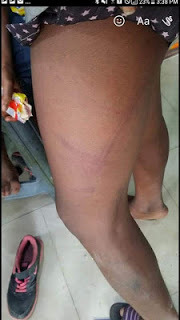 The episode occurred at No 16 Ayinde road, Ojota, Lagos.